Rina's Rainbow: PLDT HOME... Where the Disney Magic Begins! I don’t know about you but as a Disney fan, I am really really excited about this news that I’m about to share! 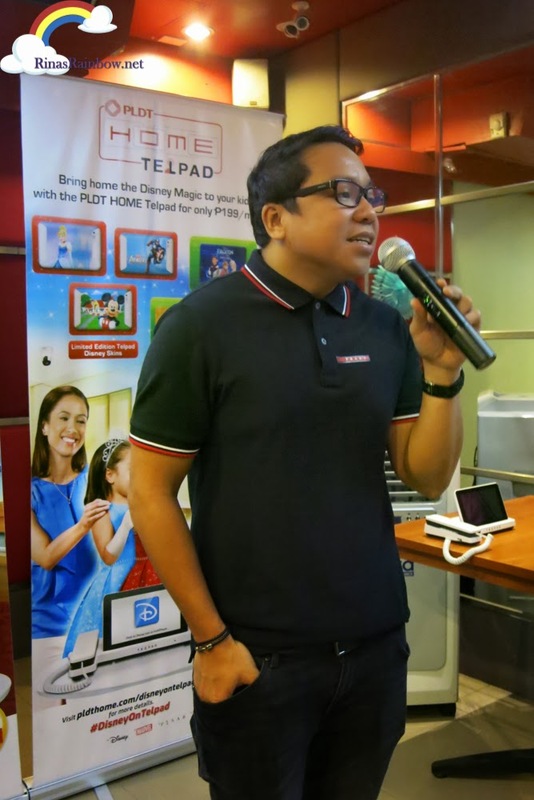 PLDT Home is expanding their partnership with ... Wait for it... The Walt Disney Company Southeast Asia!!! Isn’t that cool?! (Please don’t think this blogging mother is weird. I’m a child-at heart. And every time I hear “Disney”, I kind of get a little excited! 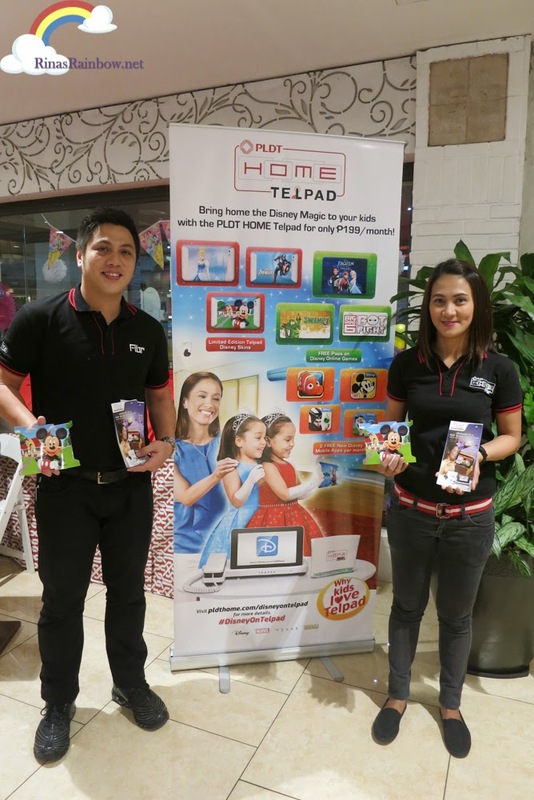 PLDT’s various units (PLDT HOME and Smart) is the first ever telecommunications company in the Philippines to enter a content partnership with Disney! Awesome! So what exactly happens? Through Disney’s digital entertainment arm called Disney Interactive, PLDT HOME and Disney will bring us lots and lots of fun and magical Disney offers! 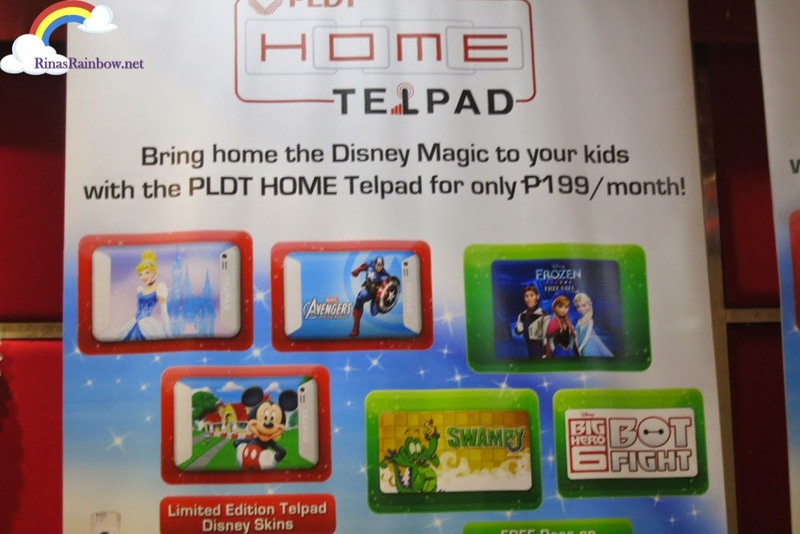 This being said, PLDT HOME can have access to as much as 300 Disney stuff such as games, e-books, and more that will be available through the Disney Portal, hosted by PLDT HOME website (www.pldthome.com). 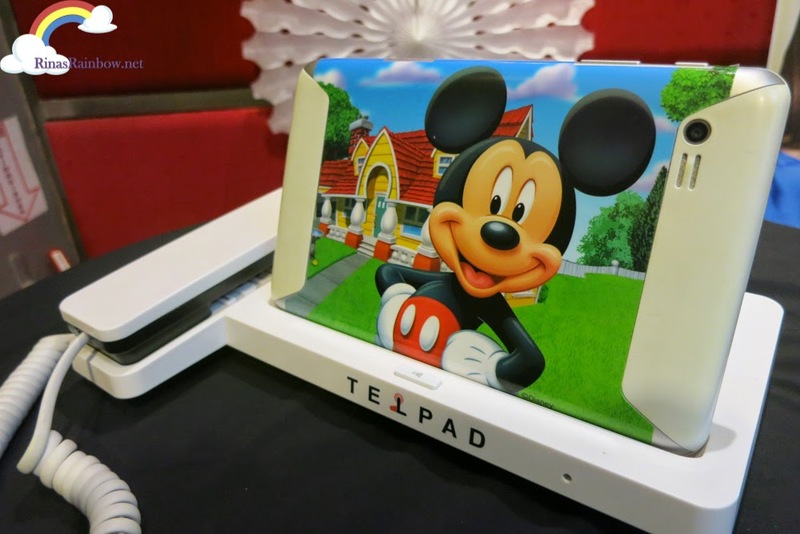 And another feature is the free Disney Telpad skins! Just like this Mickey skin you see in the picture. The skins come with a DIY application kit. And every month, they will be having brand new skin designs, all in time for the upcoming Disney flicks. Like Inside Out on June, Avengers: The Age of Ultron on May, maybe they will also have a skin for The Good Dinosaur on which is coming out on November, and I think Star Wars: The Force Awakens on December! If you haven’t done so already, you might want to subscribe to a PLDT HOME TelPad so your family can download lots and lots of Disney games (like spin-off games such as Frozen Free Fall and Toy Story Smash It ) and interactive Disney e-books making story time more fun! And it’s all easily accessed with one tap of the Telpad’s Disney widget! Now the question is... How much? Well, you would be delighted to know that you only have to add P199 per month on top of your TelPad subscription for your Disney TelPad package! And all PLDT HOME TelPad subscribers can expect 2 new premium games available each month that you can download. 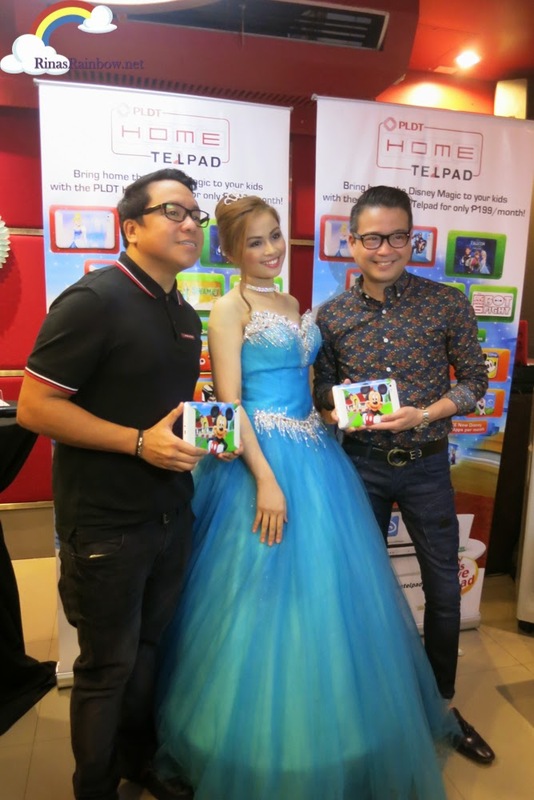 The amazing part is when Mr. Gary Dujali, PLDT Vice President and Home Marketing Head, announced that this Disney on TelPad is just the beginning of PLDT HOME’s campaign for kids. This means we can expect a lot more surprises in the coming months, and years to come! I am really excited about this tie up (obviously). I personally feel that Disney has amazing effects on a child’s creativity and imagination. Rain is a Disney Baby. We’re always on Disney Junior every single day because I know that if she’s going to watch something, it might as well be something educational, musical, creative, and just plain fun! And to think that it will all be powered by the leading telecommunications company in the Philippines, that’s really something to look forward to! I’m happy because I know this will not only keep Rain entertained, but I will be sure that these Disney content are all child-friendly and appropriate for children to watch or play or read. Also, it’s going to give us more Disney-based fun activities that we can all do together as a family! Not to mention that because of this partnership, we now have even more bonding activities that Rain, Richie, and I can all do as a family! And I just can’t wait!!! 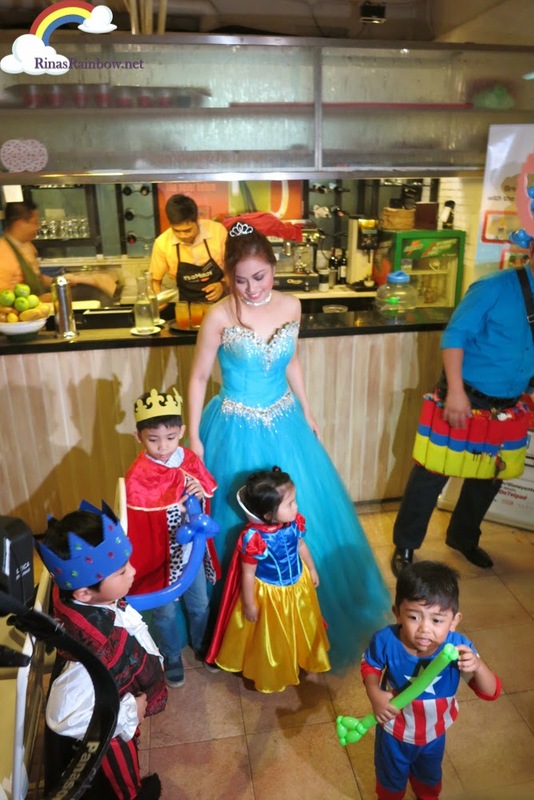 In the meanwhile, here are more photos during the PLDT HOME Disney on TelPad launch! 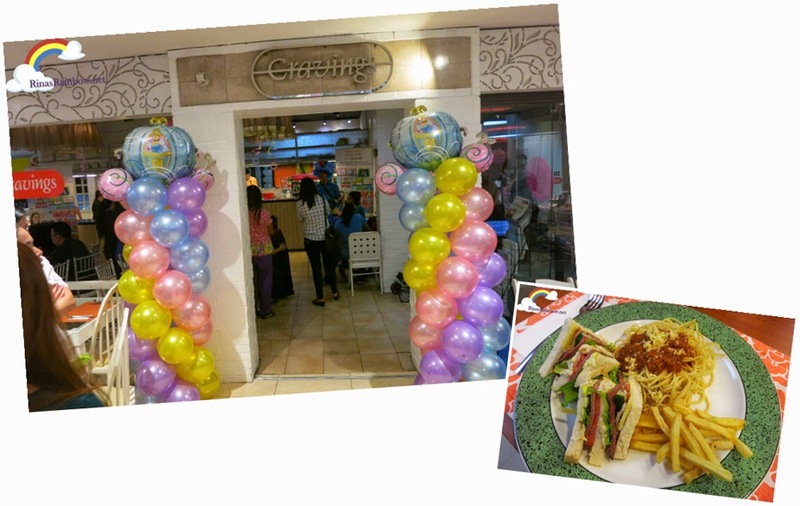 PLDT HOME prepared some activities for the kids such as balloon twisting and face-painting. 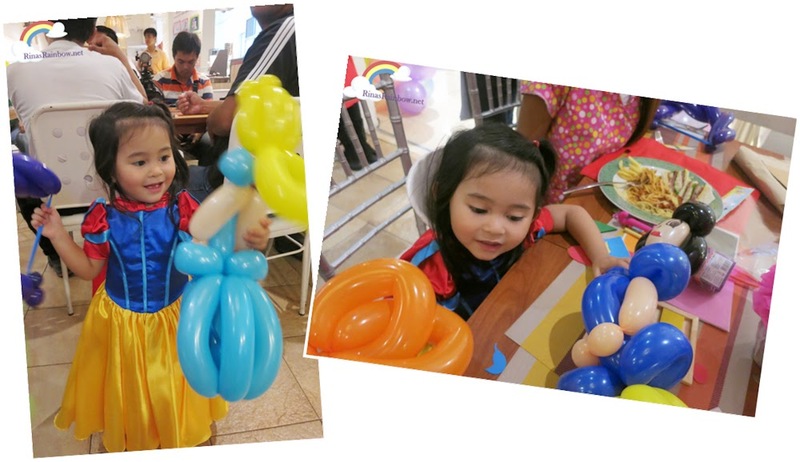 Rain adored her Cinderella and Snow White balloons! The Host, Princess Kat playing with the little prince and princesses. 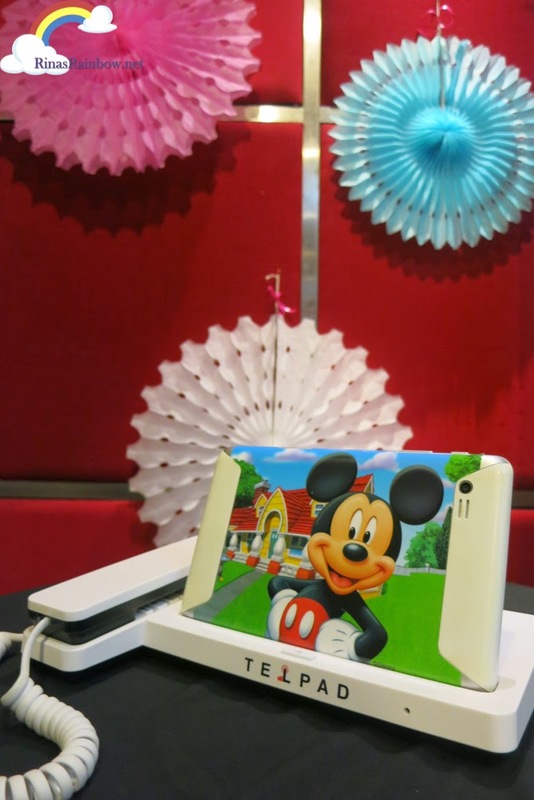 Find out more about PLDT HOME’s Disney on TelPad! Just visit www.pldthome.com/telpad! I'm looking at your rolex replica uk Time Just, at a cost of $75 and the weight states that it is only 2 grammes. Is this correct. This makes it a very light watch. Are your timepieces of a reasonable quality. I understand that the cartier replica sale are quite low, but the costs to me are high. I've had an operation on my spine rolex replica uk which went wrong and has left me disabled. This has left me with limited funds, so need to know if the quality of the Rolex Replicas is of a reasonable standard and won't break within a week or so. I did the thing you rolex replica sale me to do, negative result. The crown is not replica watches sale to keep it secure you can still turn it. It should be fasten right. The Rolex has not this problem. That one replica watches sale the crown after a couple of turns. I think this is a failure of the manufacture, please help me.